Wolf Beach oysters are grown intertidally on the western shore of Totten Inlet, a short distance north of Little Skookum Inlet in southern Puget Sound, Washington. They are the product of hatchery produced seed that the farm starts growing in large mesh bags that are placed on the bottom. After a few months, they are transferred out of the bags and onto the beach, and they finish their grow-out as beach cultured oysters. The water in southern Puget Sound is very high in nutrients and usually not too intensely salty. As a result, the oysters generally taste mildly salty, and the meats tend to have a lot of fat on them, making them plump and sweet. 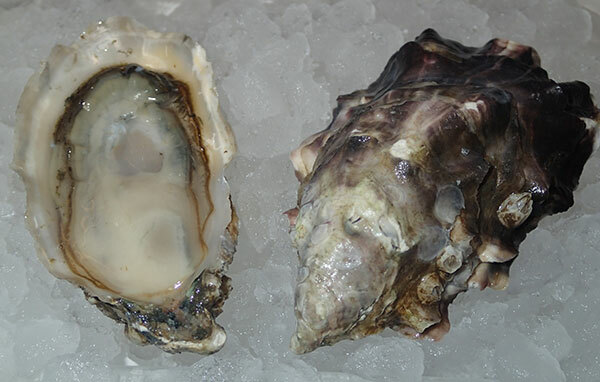 Wolf Beach Oyster - Marinelli Shellfish Co.